St. Louis’ Grand Center neighborhood has gone through a lot of changes. Though it was hit hard by suburban flight during the 1950s, in recent years the historic and predominantly African-American community area has enjoyed an artistic revival bolstered by theaters and cultural institutions like the Pulitzer Foundation for the Arts. 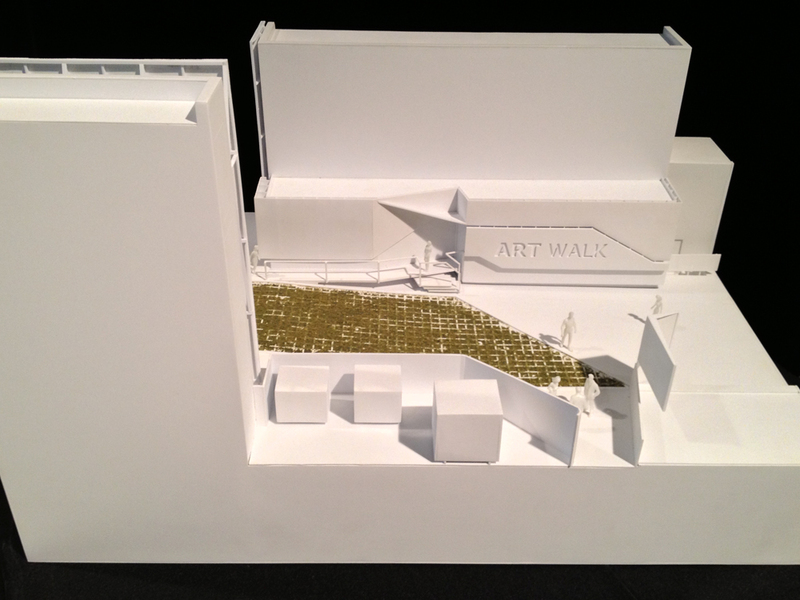 Part of that plan involves sprucing up the urban fabric. 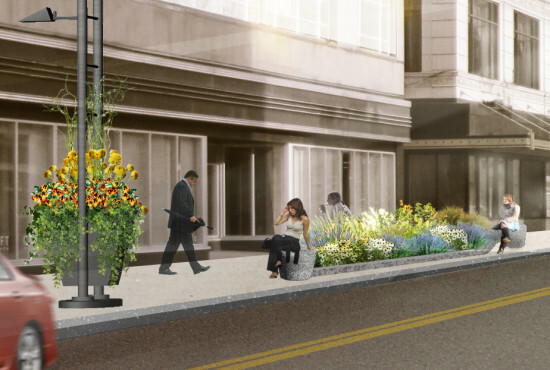 With a Great Streets Projects grant from the East-West Gateway Council of Governments, local groups are looking to do some placemaking. 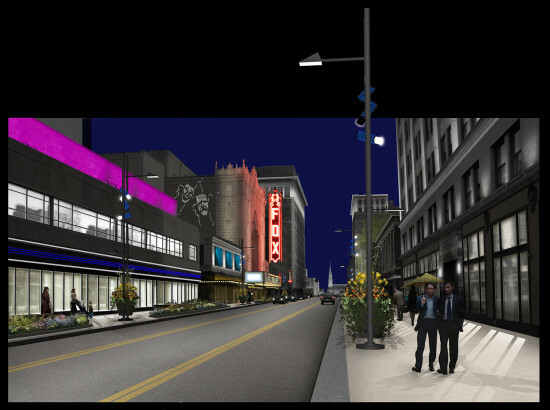 Read the full Grand Center Master Plan, named The Growing Grand Plan. Trees and green infrastructure are meant to alleviate some of St. Louis’ flooding issues by retaining and filtering stormwater. 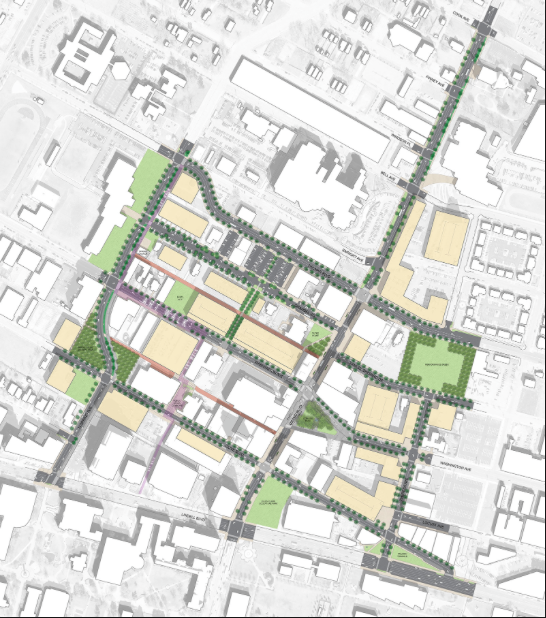 The Great Streets plan even describes a new catchment area for Grand Center. Branding, wayfinding, lighting, and transportation analyses are also a focus of the plan. To help spur discussion, The Creative Exchange Lab of the Center for Architecture is mounting an exhibition on the topic. 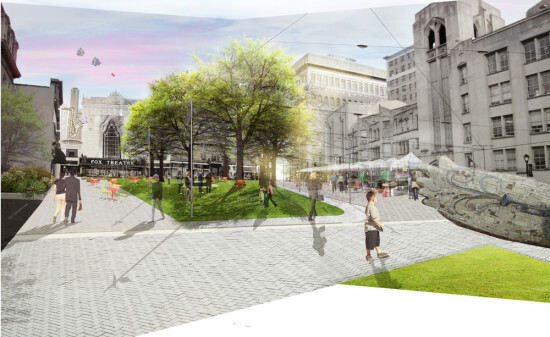 Titled Great Streets Project: Grand Center, the show kicks off with two presentations on May 22 and May 23 at The Creative Exchange Lab of the Center for Architecture + Design STL, 3307 Washington Ave., from 6-8:30 p.m. both evenings.